Last July, Alaska Airlines and Hainan Airlines announced a new partnership, allowing Mileage Plan members to accrue miles for travel on Hainan. This was a pretty cool new partnership, given that Hainan is generally well regarded among Chinese carriers, and doesn’t otherwise have many partner airlines. 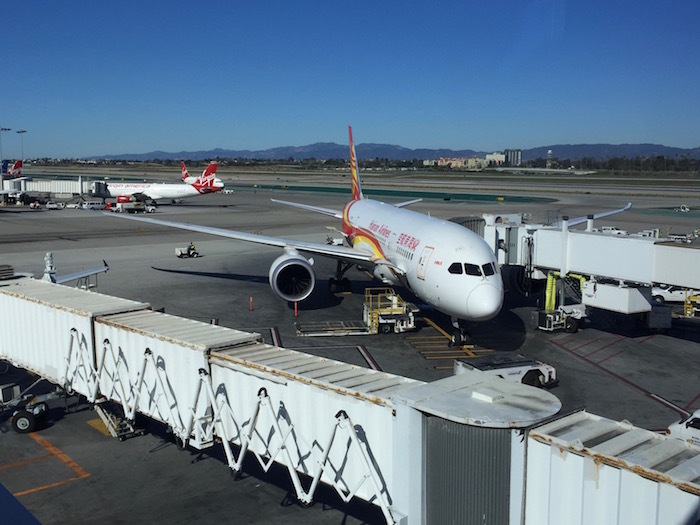 Hainan has flights out of Seattle, Los Angeles, and San Jose, all of which are Alaska Airlines hubs and focus cities, so this partnership opened up plenty of opportunities for cooperation between the two airlines. The partnership was initially limited to reciprocal mileage accrual, with no option of reciprocal mileage redemptions. Alaska promised that mileage redemptions would soon be possible on Hainan, though the start date for that kept getting pushed back. In February we learned that Alaska redemptions on Hainan would be possible as of March 30, 2016, and Alaska stayed true to their word on that. It’s now possible to redeem Alaska miles for travel on Hainan. 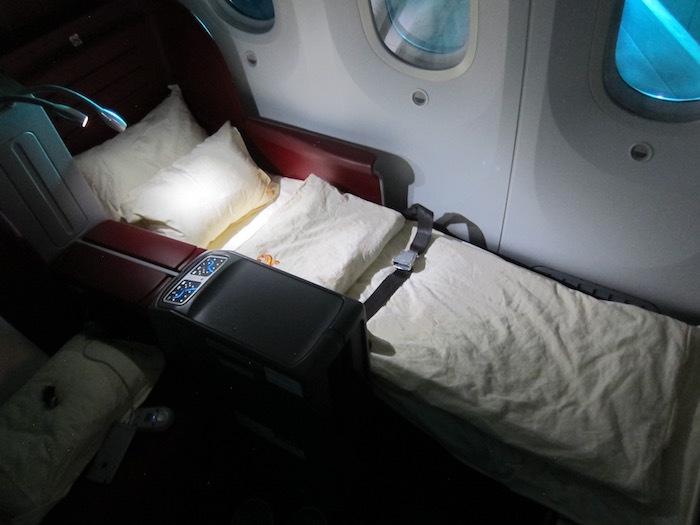 As you can see, a one-way business class award between the US and Asia costs 50,000 miles, which is an excellent value. However, Alaska does impose fuel surcharges for travel on Hainan, which seem to be $135 each way between the US and China. Award availability on Hainan is exceptional, with two business class award seats available on a vast majority of flights out of all their gateways. Hainan Airlines is a great new option for award redemptions to Asia, given the low redemption costs and exceptional availability. While no one likes paying fuel surcharges, the ~$135 one-way fuel surcharges aren’t unreasonable, in my opinion. Also keep in mind that Alaska allows stopovers on one-way awards, making this a great opportunity to do a stopover in Beijing enroute to another city. I recently flew Hainan business class from Los Angeles to Changsha and Changsha to Los Angeles, and enjoyed the flight. The food and service was the best I’ve had on any Chinese airline. The bedding was also exceptional. My one complaint are the seats as such. They’re in a 2-2-2 configuration so aren’t bad, though also aren’t as private as a reverse herringbone seat or apex suite. 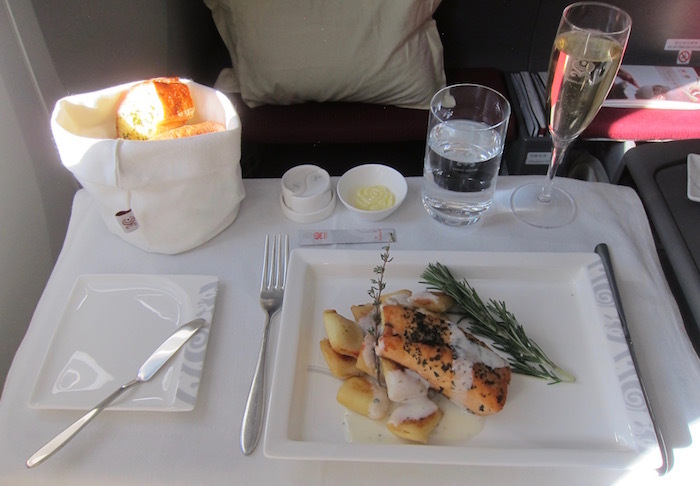 Ultimately my preference would still be to redeem Alaska miles on Cathay Pacific, given the great redemption rates for business class and first class. That being said, Hainan business class is much more readily available (especially in light of the recent American AAdvantage devaluation, where we’re seeing almost all Cathay Pacific award space booked), so is a fantastic option. 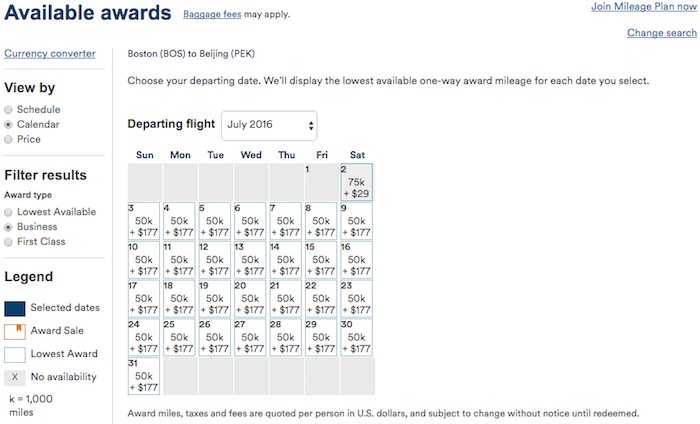 I’m thrilled to see Hainan finally added as an Alaska Mileage Plan airline partner for redemptions, and I’m also happy that the rates are so reasonable. 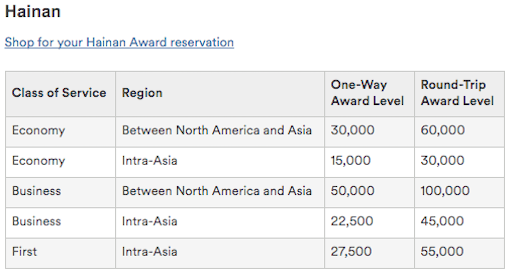 50,000 miles one-way in business class between the US and Asia is fantastic, especially given the amount of award availability Hainan is making available (hopefully it sticks). This will make Hainan a great option if you want to connect in China enroute to elsewhere as well, given all the routes this opens up. The fuel surcharges of $135 one-way in business class aren’t bad, though I’m a bit concerned about the trend in general. The last airline partner Alaska added was Icelandair, and they’re also imposing fuel surcharges for redemptions on them. Previously it was just British Airways which imposed fuel surcharges, so I don’t love that trend. Still, it’s awesome to see that there’s now another great option for Mileage Plan redemptions to Asia! 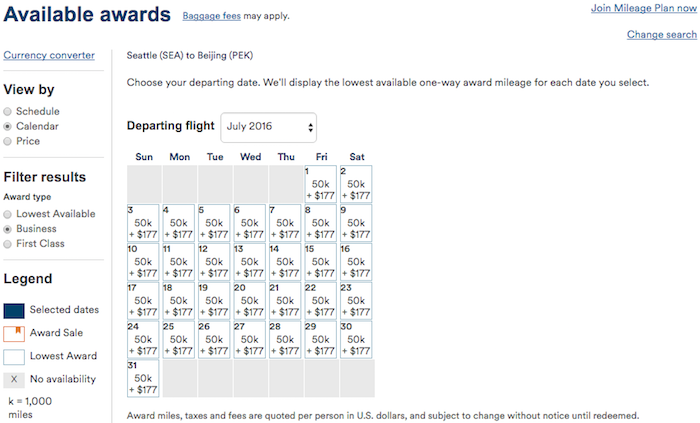 Lastly, I’d also note there’s a lot of value to be had in booking paid tickets on Hainan and crediting those miles to Alaska, given what great fares they publish between the US and Asia. 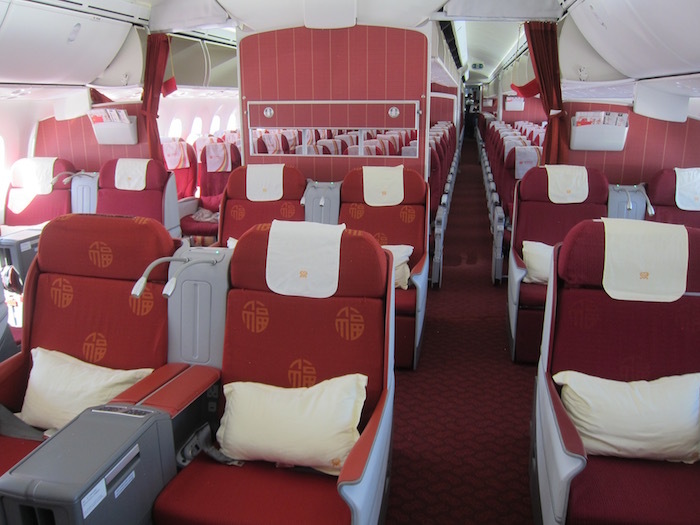 Would you consider redeeming Alaska miles for travel on Hainan? That’s a really nice option for Asia travel. This makes Alaska miles that much more valuable! Do you know if Alaska will allow flights from US to Maldives on Hainan? It doesn’t show up in their award charts. Don’t think a one-way stopover in Beijing is possible. What are the countries in Asia allowed for this award? Or only China? Who decides the extent of Asia? Is India included? Can’t get AS to do intra-Asia Award for HU. And the lack of a proper centralised hub for HU makes Asia connections very difficult. For example, LAX-CSX, but HU does not fly out of China via CSX to any other Non-China Asian cities. HU flies out from so many different cities in China internationally, but does not have good connectivity from those cities. [It seems that where ever Beijing approves the crumbs to be given to them (after CA has taken all the premium routes), HU will just grab it. we have HU flying CKG to FCO, but not a single Asian city outside China connects to CKG, yet it flies to FCO!?! Anyway, for Intra-Asia flights with HU (or for that matter, even North America-Asia flights), how many flights can we connect? 1. Does Hainan even fly to India? I checked and didn’t see any routes. 2. Alaska only allows you to combine one partner plus Alaska on any given ticket. If Hainan does not fly to India, then you could not use Alaska miles to fly there on Hainan because you would have to add an additional partner to the ticket. Basically, you can only fly to Hainan destinations with Alaska miles. how to fly business on Emirates Seattle-Beijing the same amount of Alaska miles (I assume 50k OW) ? ..Isn’t it 75k ? Gosh…. I remember thinking I would never fly them after reading your review. I’m definitely saving my Alaska miles for something else. how do you find award connection with Hainan airlines within China ? The award chart for HU on Alaska website shows only intra-China awards (not intra-Asia awards), which means only Chinese destinations (probably includes HKG and TPE under its definition) are allowed for award tickets. Unfortunately, unless it is just a temporary bug, I can’t get any Beijing-Taipei flights to pop up, and the only way to get from Seattle to Taipei is Emirates. I guess I will just have to stick with the 15 year anniversary plan of Hong Kong and Sydney. Any idea if Alaska Airlines CC will go back to 50K? Is there any historical time of year they do that? The fuel surcharges are a deal breaker for me. I probably won’t use this redemption, when I can redeem Alaska Airlines miles on Cathay Pacific for the same mileage price without fuel surcharges. @John I don’t think the Alaska CC has ever been 50k. The best offer I can remember in the last 5 years is 25k plus $100 credit after $1k spend. UA non stop from SFO to Tel Aviv! Love it! 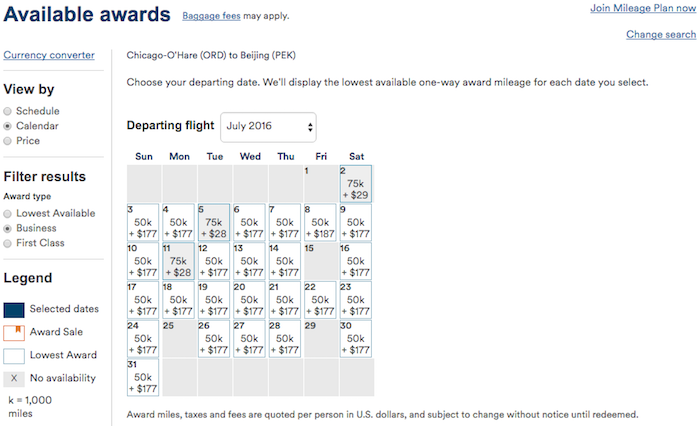 Lucky, it looks like AS just jacked up the price for EK awards, check out http://www.flyertalk.com/forum/alaska-airlines-mileage-plan/1381554-consolidated-emirates-ek-awards-availability-booking-routing-thread-206.html#post26413509 and look at the AS award chart….no notice? DL style? Why are you posting about the AS destruction of EK awards, the award price increases are insane, see Flyertalk. No notice, don’t trust this airline. “we’re seeing almost all Cathay Pacific award space booked” as you ever analyzed, basically CX only release out award space in last minute or 360 days before. Does it mean we will see more award space comes out after 3/31? I’m redeeming AKL-HKG for 4/9, do you think there is any chance to make it? @flyingfish: As as KVS Tool Member, you can now use the [Awards/AS-MultiAlliance] Method to search for HU Award Availability between US and CN. Hello! 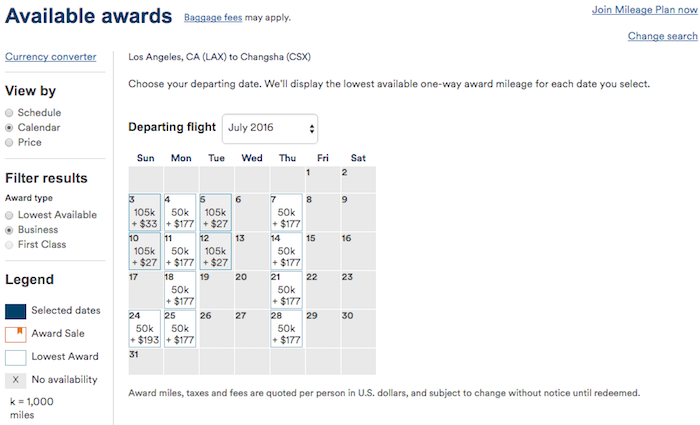 How would I book LAX/SJC/SEA (any of these) to HKG with a stopover in PEK using Alaska miles? This routing doesn’t show on Alaska’s website. Would I be able to call in this reservation? Sadly most the Hainan space I’ve found is ghost space. I have tried to book “available” flights repeatedly and then get a message after paying “Space cannot be confirmed by partner airline.” I called Alaska and they said that there’s nothing they can do about it. Will HU release more biz seats afte the two were taken?